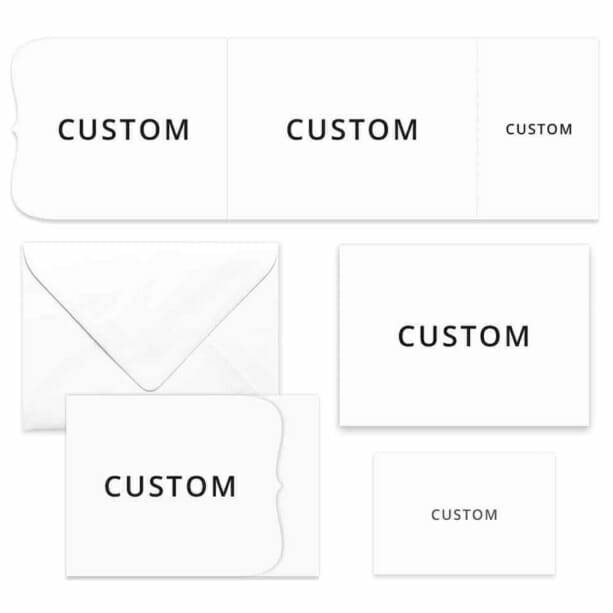 Great for designers/illustratorsThis is an excellent option if you are a graphic artist looking for a blank canvas to design your invite upon. I emailed N&B for a template and they promptly sent one, which was extremely helpful in layout. The final printed product came out better than expected. Also, I chose standard processing and shipping, but it only took 2 days to arrive once I OK'd the proof (although it only had to travel from WA to CA in this case). First rate, great work, highly recommended.